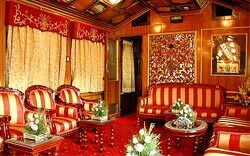 Relish the facilities and luxuries of the Royals while on board on Palace on wheels. 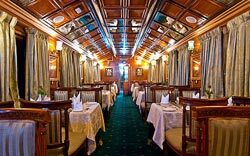 It is the most famous luxury trains in India. 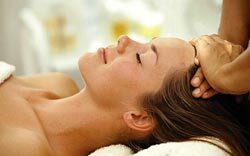 It offers a pleasant experience by offering an amalgamation of comfort, luxury and royalty. Each coaches of the train tell a story of its own through the artistic designs, decors and ambience. 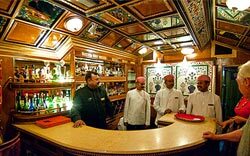 Every part of the train depicts the culture and tradition of Rajasthan in a grand way. This luxury train is fully air conditioned with state-to-art infrastructure modeled on the way the Royals enjoyed their life. 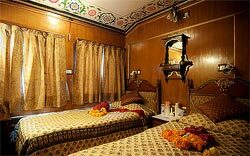 Palace on Wheels gained so much popularity after its maiden travel in the year 1982 that more other luxury trains came into being. While on wheels, you will never feel that you are enjoying the luxurious life inside a train. 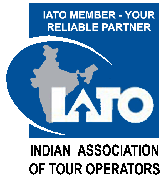 We highly recommend GeTS Holiday private 12 hour day tour of Agra and the Taj Mahal. Both the driver and tour guide were knowledgeable and provided excellent service in English. The assisted us with all our photos and were very willing to assist in every opportunity. Thanks for the trip you arranged for us .we had a very good time and your coordination was excellent. In future you will be getting lots of business thru me that much I guarantee. Keep the good work." © 2014 Palace on Wheels. All Rights Reserved.